Sam Darnold to Join 98.7FM ESPN The Michael Kay Show Weekly - ESPN Press Room U.S.
New York Jets quarterback Sam Darnold will join The Michael Kay Show on 98.7 ESPN every week, beginning the week prior to the NFL season. Each week throughout the football season, Darnold will provide opinion and analysis. 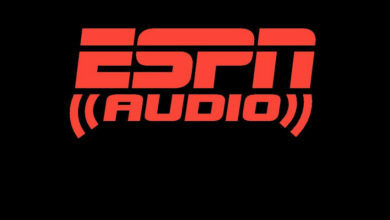 The Michael Kay Show airs weekdays on ESPN 98.7FM from 3 p.m. – 7 p.m. ET and is hosted by Michael Kay, Don La Greca and Peter Rosenberg. Darnold, 21, played college football at USC and was selected third overall by the New York Jets in the 2018 NFL Draft. Darnold was a two-sport athlete at San Clemente High school, playing football and basketball. Considered a four-star recruit by Rivals.com, Darnold set multiple USC freshman records and led the Trojans to nine consecutive wins that culminated with a victory at the 2017 Rose Bowl.